Parallel Primary Wire has two, three or four parallel conductors bonded together by Thermo-Plastic insulation, in flat ribbon configuration. 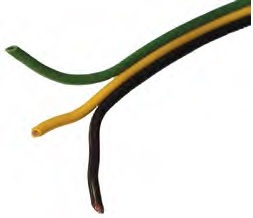 Each conductor is independently color coded for easy identification. Meets SAE J1128 Specifications, for use with 50 volts or less, 176° F (80°C).